The Electric Reliability Council of Texas suspended rolling outages nearly eight hours after ordering utility companies across the state to begin rotating power outages to compensate for a power generation shortage. When it ordered the rolling outages, ERCOT said it expected them to continue until a sufficient amount of power is back online. By 2 p.m., power generation was determined to be at an acceptable level, and ERCOT called for a suspension of the rolling outages. It means if usage spikes again and the generators that are online can't meet demand, more rotating/rolling outages may be possible. Rotating outages are controlled, temporary interruptions of service designed to ease the load on the electric grid. "Without this safety valve, generators would overload and begin shutting down to avoid damage, risking a domino effect of a statewide outage," ERCOT said. ERCOT said the outages were necessary because of a shortage of available power after some plants were knocked offline because of broken water pipes at the Oak Grove and Sandow plants. Natural gas power plants that should have provided back up had difficulty starting because to low pressure in the supply lines that was also caused by the cold weather. Lt. Gov. David Dewhurst said this event was something that "should not happen" and that the demand placed on the Texas grid was nowhere near peak capacity. He said he was frustrated by the situation. ERCOT said energy conservation is still critical during peak demand hours this evening between 6 and 10 p.m.
"ERCOT is urging all consumers who can reduce their energy consumption to do so at this time. Severe weather has led to the loss of more than 50 generation units more than 7,000 MW, and additional units are continuing to trip offline due to the extreme cold temperatures," ERCOT said in a news release issued just after noon Wednesday. "Conservation is very critical at this time to reduce the load on the system." "As of 9 a.m., more than 7,000 MW of capacity was still out of service or not producing at its expected level," Dottie Roark, ERCOT spokeswoman, said in a news release. "Rotating outages were implemented around 5:30 a.m. this morning to shed 4000 MW of load. The rotating outages are continuing as this time, although the amount has been reduced to about 3000 MW." At noon, ERCOT said it would order outages to cut down the load by 2000MW. One megawatt is enough to power 200 homes in extreme conditions. To see recent reports on the grid load, click here. 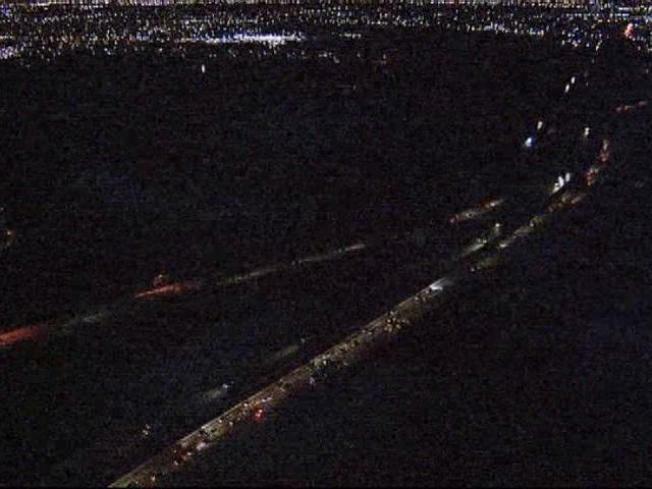 The outages affected Texas' largest cities, including Dallas, Fort Worth, Houston, San Antonio, Austin, Corpus Christi, Abilene and the Rio Grande Valley -- more than three-fourths of the state. Oncor spokeswoman Jeamy Molina told The Associated Press that the structured outages are not considered blackouts and that the outages are very structured. "We are carefully selecting the feeders that were chosen throughout the ERCOT system. This is not blackouts," Molina said. The outages last anywhere from 10 to 45 minutes, though many NBCDFW readers reported outages lasting longer than an hour -- in some cases several hours. The locations and durations of the outages are determined by the local carrier. Critical-need customers such as hospitals and nursing homes are not included, state regulators said. Dallas Fire-Rescue said that some residential and business alarms tripped as power was cycled back on, requesting emergency response. DFR is prioritizing calls, but it is responding to all automatic fire alarms. But DFR also said it did not cause any significant delays in response time. Drivers are advised to not only use caution on roads because of ice, but also because rolling blackouts will affect traffic signals and they can malfunction after a power loss. Drivers are advised to be extremely careful at intersections without powered signals. The rolling blackouts did not impacted NBC 5 or our ability to broadcast a signal over the air. We took two power hits to our Fort Worth studio, but we have a backup generator and were on the air the entire time. Our signal may appear down or frozen on some cable systems because of a control panel on a transmitter that was disabled. That transmitter fed our signal to those providers. We have a crew working to restore the signal, though continued rolling outages may continue to impact the transmitter. The city of Dallas requested that City Hall and the Dallas Convention Center, which is hosting the NFL Experience, be exempt from rotating blackouts. In a prepared statement, city spokesman Frank Librio said, "City Hall is open Wednesday for the Dallas City Council Briefing and other public business and it is also where the Emergency Operations Center is located for Super Bowl week. The EOC is operational 24 hours a day during Super Bowl Week monitoring, and responding if needed, to public safety issues associated with hundreds of special events. These operations are critical." Hotels in downtown Dallas, where many fans are flocking in the run-up to the Super Bowl, were not affected by the controlled outages because they have a special hookup to the power grid, said Larry Auth, a spokesman for Omni hotels. The hotels where the teams are staying have backup generators, and any power outages would be brief while the hotels switch to those generators, Auth said. The NFL said some of the hotels the league is using have had "brief but expected" outages that have caused no problems. 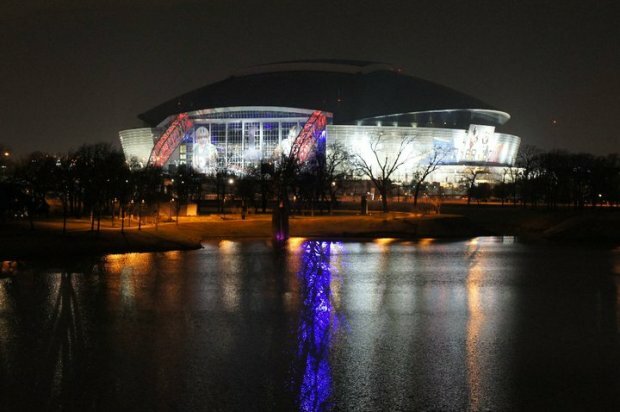 Cowboys Stadium in Arlington, home of Sunday's Super Bowl, was exempt from the outages, said Jeamy Molina, a spokeswoman for Oncor, which supplies electricity to 7 million consumers. But the city of Arlington didn't request such an exemption, the Fort Worth Star-Telegram reported. The city's fire chief told the newspaper that the stadium and city facilities were "OK from a backup power perspective." The stadium's backup generator can run for up to a couple of days, M-E engineers of Dallas told the newspaper. Limit electricity usage to only that consumption which is absolutely necessary. Turn off all unnecessary lights, appliances, and electronic equipment. Businesses should minimize the use of electric lighting and electricity-consuming equipment as much as possible. Large consumers of electricity should consider shutting down or reducing non-essential production processes. See more conservation tips at “Powerful Advice,” Public Utility Commission of Texas. Editor's Note: A previous version of this article incorrectly stated the name of one of the power plants that Lt. Gov. David Dewhurst said had shut down. The Associated Press erroneously reported the name. NBC DFW regrets the error.